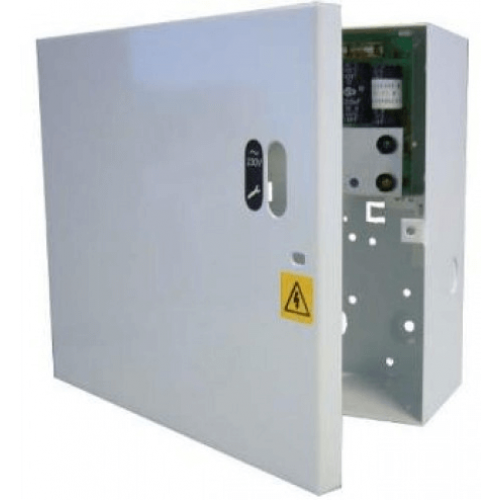 The enhanced Elmdene TR range of power supplies has been speciﬁcally designed for access control applications that require remote control of the power supply output. A typical example being where a TR power supply unit is used to power door retainers, with a link to the ﬁre panel in order to switch off the output to the doors in the event of a ﬁre alarm activation. The units now have an expanded range of input options which includes the detection of a normally closed contact going open to provide a fully fail safe operation mode. • Application of an external 24V dc supply such as a sounder circuit LED status indicators provide quick diagnostics showing the presence of a mains input and output fuse failure.